Things change. That’s true in life, and it’s true in fishing. This past open water season and recently while ice-fishing I realized some changes that I found to be interesting. Following are some of those changes. Consider Clear Lake in north central Iowa: When I was learning to fish many years ago, Clear Lake was mostly a bullhead lake. There were a few walleyes, but mostly bullheads. Then, for a number of reasons, the bullhead population plummeted and yellow bass became more abundant. Yellow bass aren’t natural to Clear Lake, but they got in there somehow. Walleyes and muskies also became more abundant. At first, the yellow bass were thought of by many anglers as a nuisance. But then anglers learned that yellows can provide fast action and are outstanding on the table, and there is no limit to how many yellow bass you can catch and keep. I attended the Yellow Bass Bonanza, a yellow bass tournament, on Clear Lake recently. There were 264 teams registered from 8 states. Evidently a lot of anglers are starting to like yellow bass. Things change. In the early 80’s, I lived in on the shores of Leech Lake in northern Minnesota. Back then, the walleye was king in Minnesota and across the Midwest, and it probably still is. Walleye fishing is outstanding in many parts of Minnesota and across the Midwest, probably even better than it was in the 80’s. But smallmouth bass are coming on strong in many areas. Back in the day, it was unusual to catch smallmouth in any numbers on many of the lakes where we’re catching them now. Some anglers don’t like the fact that the smallmouth are moving in on the walleyes in some lakes, but the fact is, smallmouth are often willing biters and don’t stop fighting until your thumb is in their mouth. I’ve had the good opportunity to fish for and catch smallmouth in a lot of places, and I’ve also been fortunate to get in on some memorable smallmouth bites, but the best bite ever, for numbers and size, occurred this past fall on Kabetogama Lake in northern Minnesota. I’ve fished Kab for many years, mostly for walleyes. This time Tim Snyder, Mike Frisch, and I targeted smallmouth. Mike and I both caught the biggest smallmouth of our lives that afternoon on Kab, and we also caught lots of smaller and middle-sized ones. Kab is still a world-class walleye fishery, and it has become a world-class smallmouth fishery. Things change. Live bait has always been a fish-catcher. In the past, in the minds of some of the best anglers in the world, when fishing gets tough, you go to a real minnow or leech or nightcrawler or whatever. And live bait still catches fish. However, plastic has been catching on in the past few years, and its use has accelerated recently. Plastics like Impulse have the right action and scent, and the ability to experiment with color is such an advantage over live bait, and plastic requires virtually no care. More and more, anglers are leaving the minnow buckets at home and fishing with plastic instead of live bait, and in most cases they’re catching just as many fish and in many cases more on plastic. Things change. I was reluctant to accept computers and the internet and email and digital photography, but eventually I did accept them and they’ve made my life easier. I’m less reluctant to change how I fish and what I fish with and where I fish and what I fish for, and I’m enjoying my fishing even more. Things change. Photo: This smallmouth bass would be a trophy anywhere. Mike Frisch caught it on Kabetogama Lake in October of 2016. 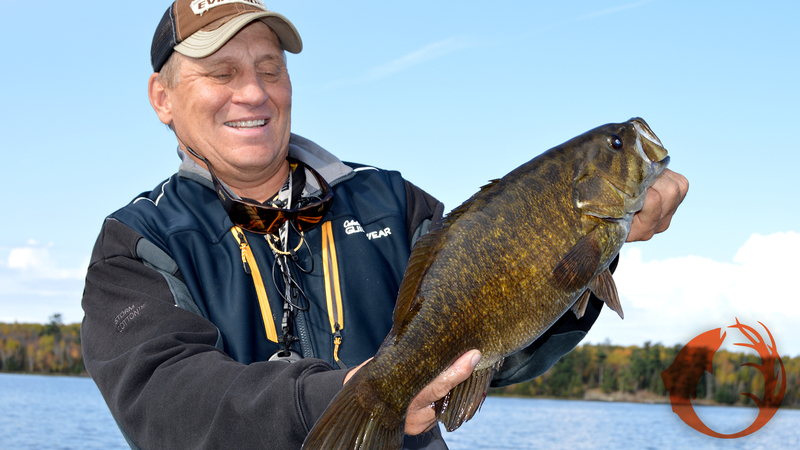 Smallmouth populations are exploding across the Midwest, and that makes many anglers happy.